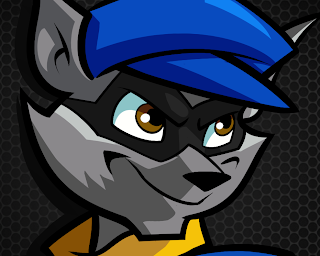 This is a collection of action-adventure games in which players assume the role of Sly Cooper, a master thief attempting to steal objects from villains and thieves. Players control Sly and his friends as they run and jump through levels, collecting coins, and using various attacks against enemies (e.g., punches, spin attacks, and slams). In some sequences, players use “cartoony” turrets to shoot down enemy planes and tanks. Players can also shoot down enemy planes by using a blimp or a model helicopter. Enemies generally disappear amid puffs of smoke, or scattered coins during ground battles. The game includes instances of crude humor/bathroom humor, usually in dialogue: “You've got some fuzzy dice to come round here” and “Back in my day we had enforcers that would make people pee their pants just as soon as look at 'em.” Characters are sometimes depicted with lit cigarettes/cigars in their mouths. One scene briefly depicts a barrel labeled "Ale." Let us know what you think of The Sly Collection in the comments below!